Nailed It! Or maybe not!! Happy Easter!!!! I am wondering what types of wonderful Easter dishes you all came up with out there. Hubby and I decided to hit up a restaurant this year for Easter Brunch. It was wonderful….but of course I couldn’t resist making us something special for the day. 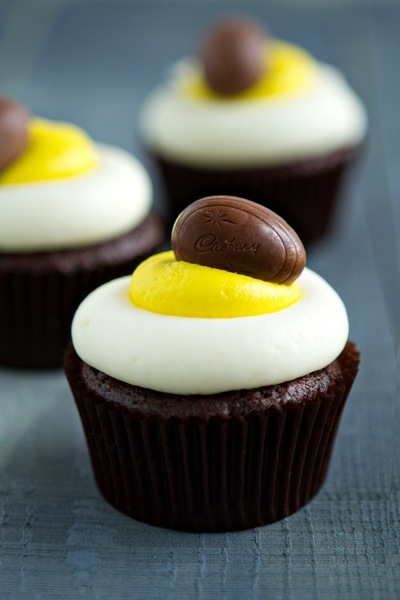 Since we both love Cadbury Crème Eggs (as mentioned in Saturday’s Post: Cadbury Egg Martini) I thought these cupcakes I found on Pinterest were a cute idea. 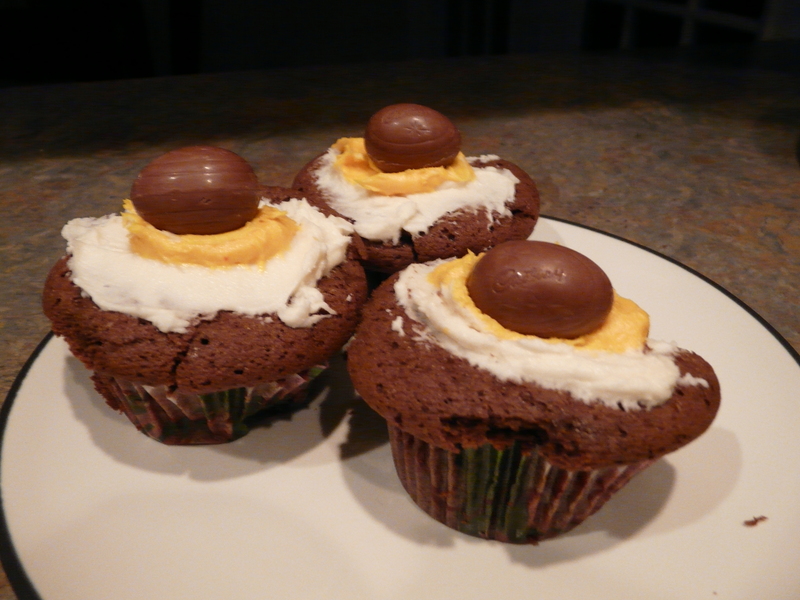 The cupcakes are from www.mybakingaddiction.com and Jamie, the writer of this blog, tells you to use whatever chocolate cupcake recipe you like. Has anyone been seeing these photos on Pinterest? 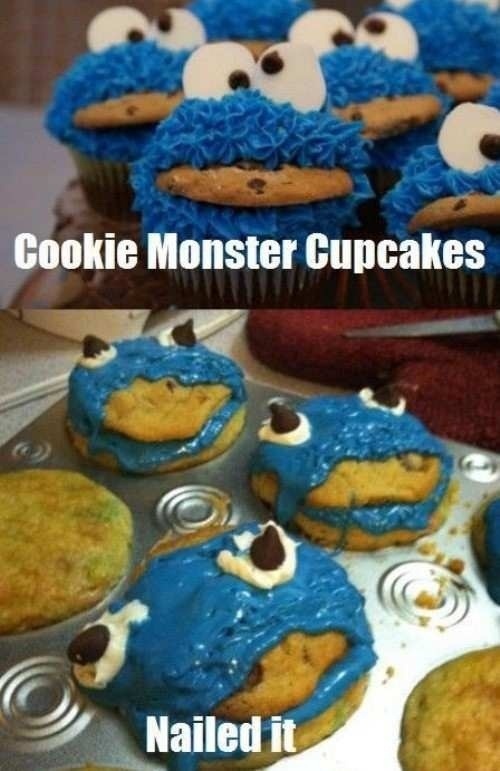 That is totally what happened to me with these cupcakes!!! 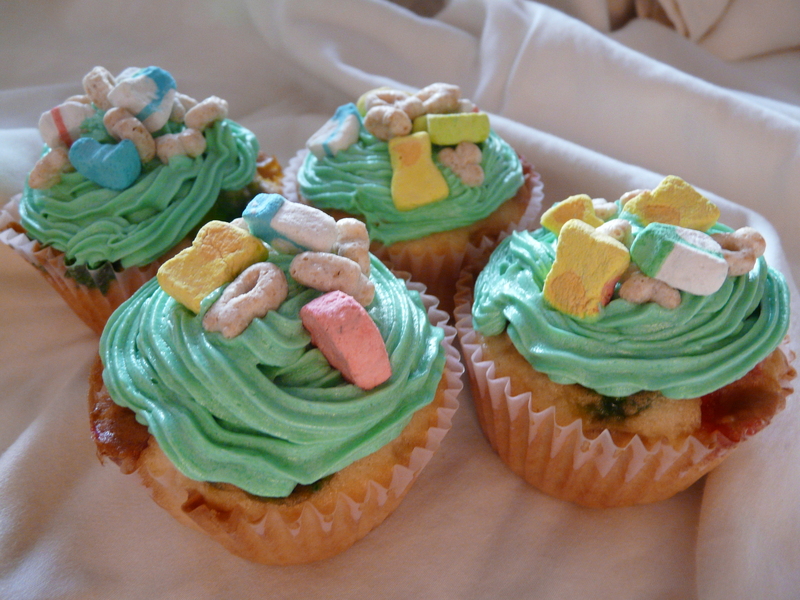 Here you see my cupcakes!!! Oh boy! 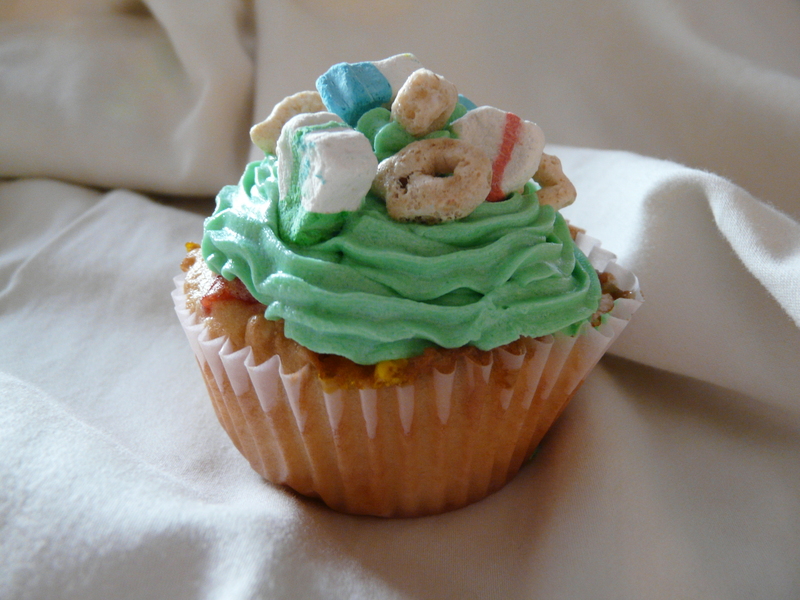 I guess this is a good time to disclose a little secret….my food doesn’t always look the greatest…I am horrible at decorating baked goods and even my plating skills are atrocious. I’m slowly getting better…I’ve been practicing especially with the frosting and decorating and Hubby seems to have a good eye when it comes to “plating” dishes, so he is always willing to help out with that. Who doesn’t love a beautiful dessert? But, have you ever picked out the most gorgeously decorated cupcake from a display only to have it taste so-so? At least I can say, my food may not look the prettiest but nine times out of ten it tastes great! To me, this is what ultimately matters, but as I grow as a cook I am realizing the importance of making my food look pretty. When something tastes as good as it looks you will always have a perfect “10”! Anyway, for my cupcakes I used my Devil’s Food go-to recipe…and I can’t remember exactly where it came from but it is a variation of the very popular Hershey’s chocolate cake with the boiling water (you know the one :)) However, since these were strictly for my Hubby (more about my “Slimmed Down” version later!) I decided to make a small batch. I’ve been pretty successful calculating recipes to make only 2-4 cupcakes, but based on how the cupcakes turned out I’d say my math was not 100% accurate (I never was good at math…thought I was finally getting better though?!) 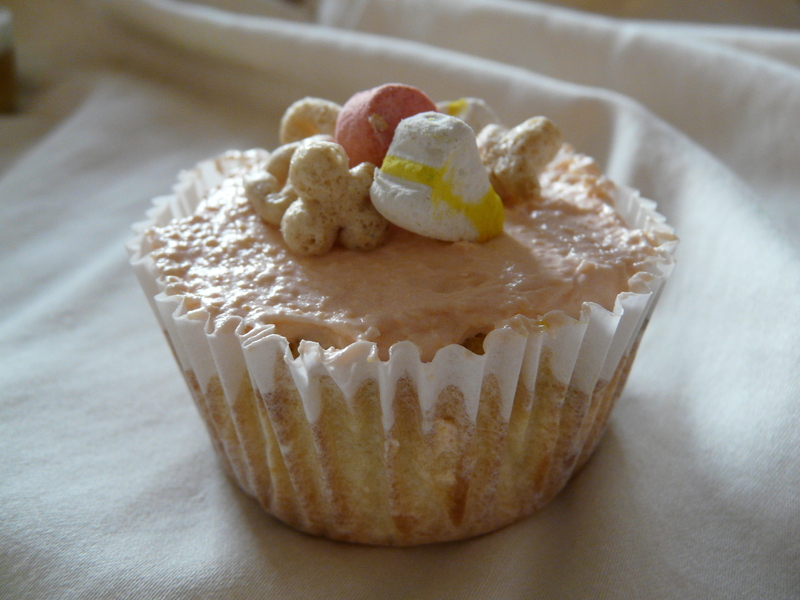 The first thing I noticed was that although they were moist, the texture of the cupcake was way too crumbly and they were crumbling all over the place. Instead of the top puffing up they spread out over the baking cup, making a mushroom like shape. Also, they did not turn out as chocolatey as they should have…however this was not such a bad thing because they took on more of a milk chocolate flavor, which went well with the candy theme. By the time they were ready to be frosted, I just didn’t have the energy or desire to break out my icing bags and so I just tried my best to spread the icing on with a knife…which as you can see did not turn out the greatest. All in all, however, when it came time to tasting them Hubby gave them a “4” out of 5 rating. He said they still tasted good despite their appearance. The one thing he did mention, however was that they were very sweet. In retrospect I could’ve taken into consideration the fact that Cadbury Crème Eggs are super sweet so it would’ve probably been beneficial to decrease the sugar in the cupcake just a bit. But if you don’t mind very sweet stuff (like me!) then it’s really not a big deal. The icing is just your basic vanilla buttercream and tasted great! So here are the full recipes for the Devil’s Food Cupcakes & the Vanilla Buttercream. 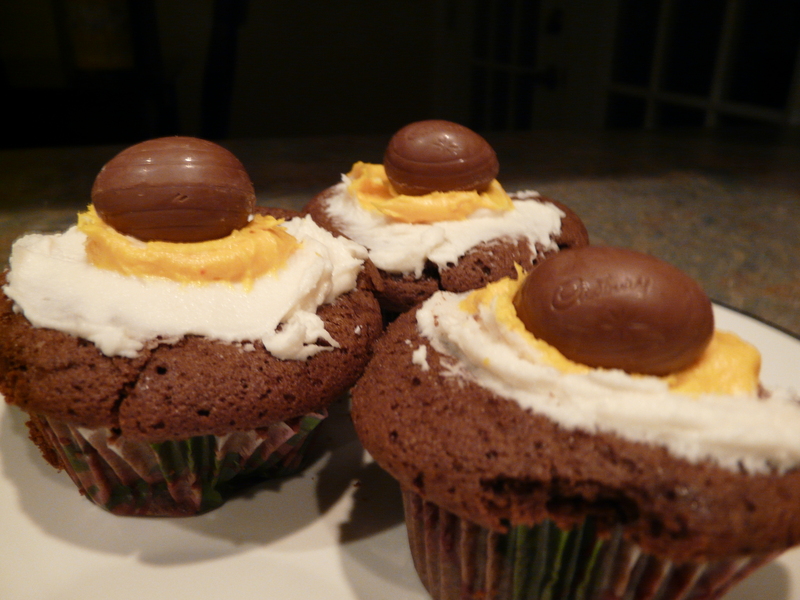 If you’ve got lots of Cadbury Eggs leftover from Easter, you can throw them in the cupcakes like the ones in the pictures. Preheat oven to 350 degrees. 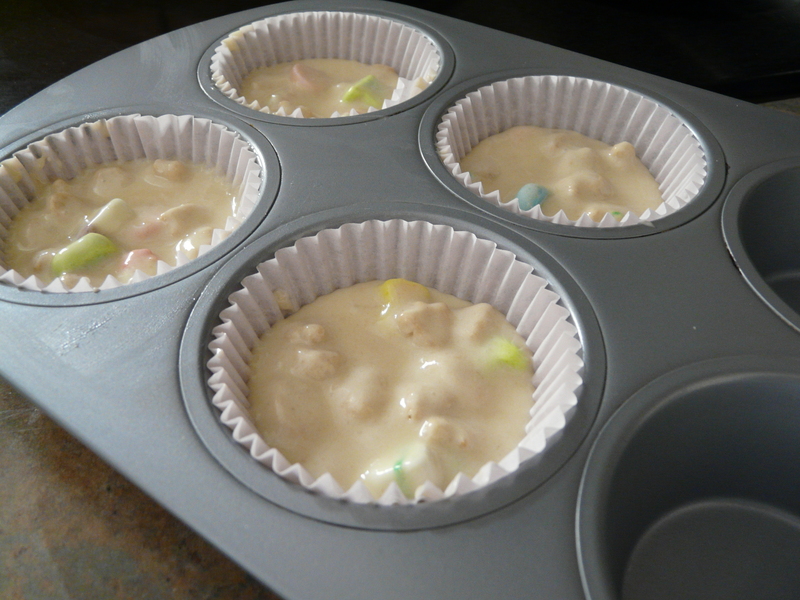 Line two cupcake pans with cupcake liners and set aside for later use. Sift cocoa into a medium bowl and whisk in boiling water. Set aside to cool. Using an electric mixer, cream butter on low speed until light and fluffy. Gradually beat in sugar until light and fluffy. Beat in vanilla and then add eggs a little bit at a time beating in between each addition until well combined. Whisk milk into cocoa mixture. 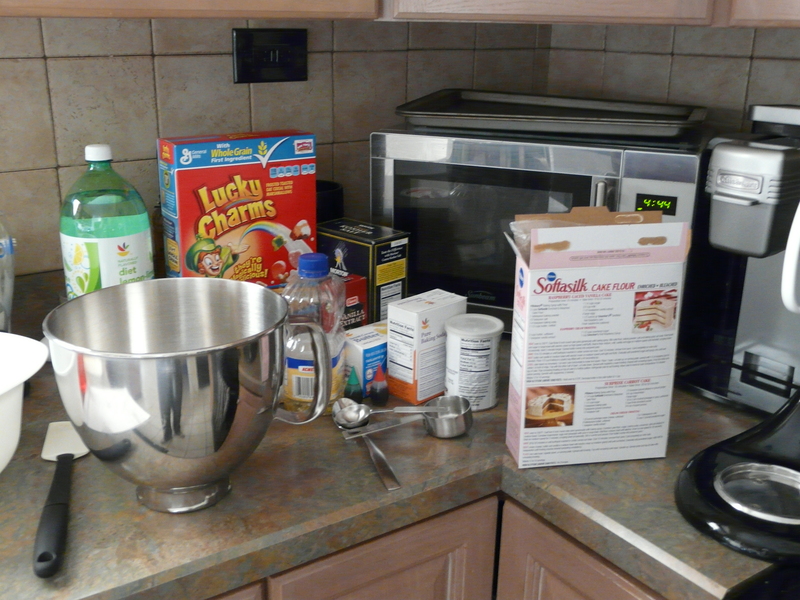 With mixer on low speed, alternately add flour and cocoa mixtures to the batter, a little of each at a time, starting and ending with the flour mixture. Fill cupcake liners 2/3 of the way full with the batter. 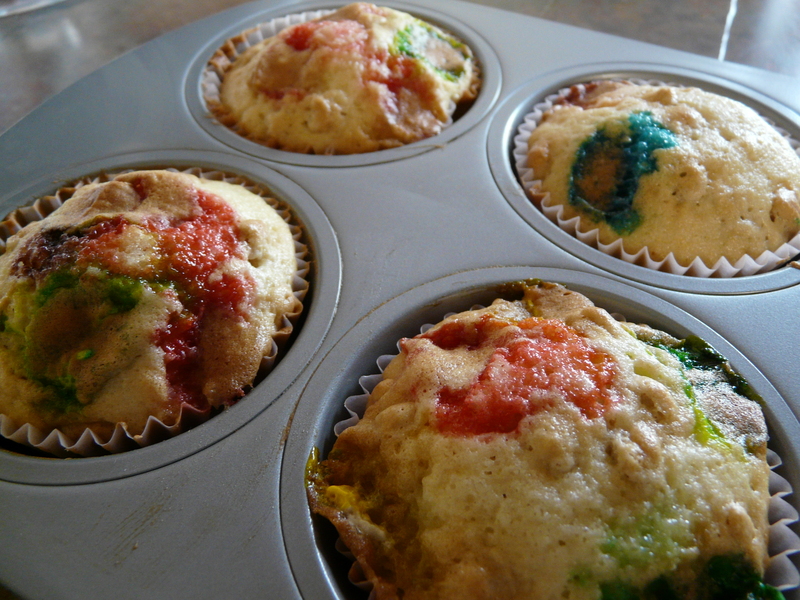 Bake in the oven 18-20 minutes or until a toothpick inserted into the cupcakes comes out clean. 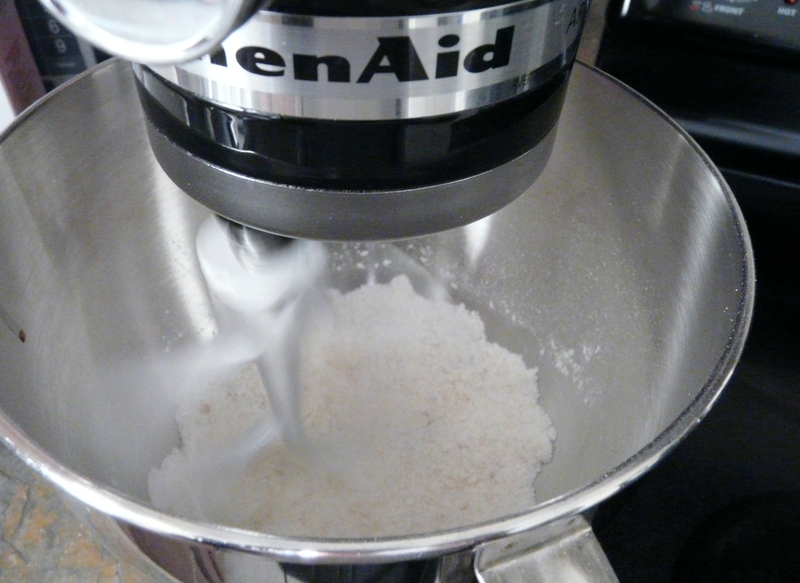 With an electric mixer, mix together the sugar and the butter until well blended, about 3-4 minutes. Add cream 1 tbsp. at a time and beat on medium speed for about 1 minute, adding more cream if needed to reach desired consistency.